Recently a reader contacted me asking for tips on how to take an inspiration room and recreate the look in their own space, and I thought that was such a great idea for a post! 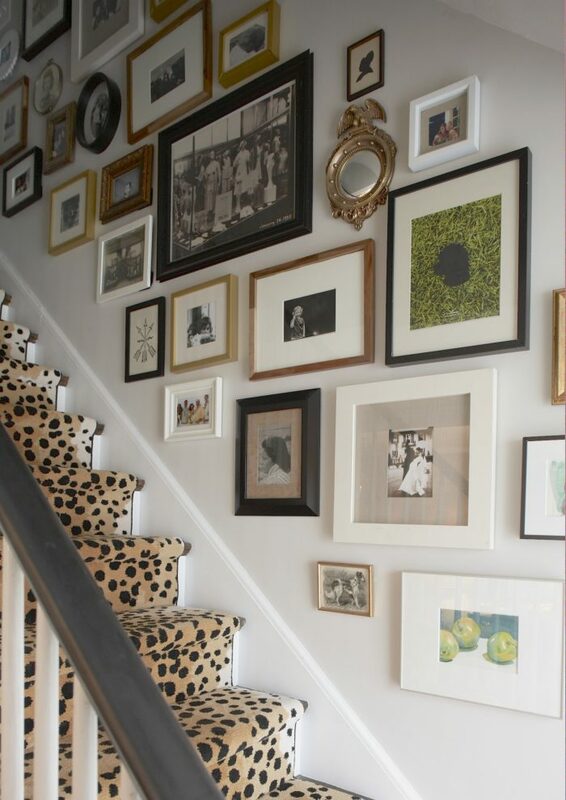 Oftentimes I think people (myself included) look through magazines, Pinterest, blogs, etc., see a room they like, and then…don’t know how to move forward. There’s a feeling of “ok, I just want to step inside that room and live there!” but no idea of how to take that design off the page and interpret it in their own home. So, today I’m going to share some ideas on how to go about taking a space you love and translating it into reality. 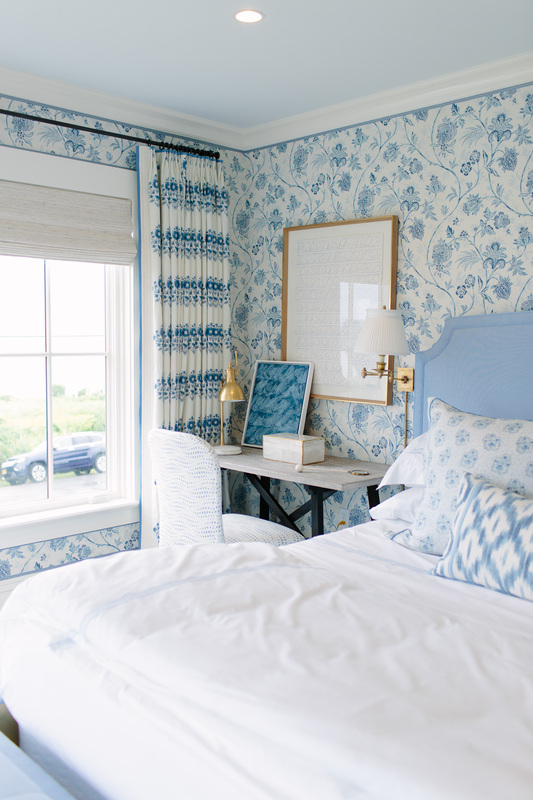 For the sake of example I thought it would be great to revisit this fabulous bedroom designed by Mark D. Sikes for the 2017 Coastal Living Idea House in Newport. The whole showhouse was amazing and I figured this would be a perfect room to dissect. 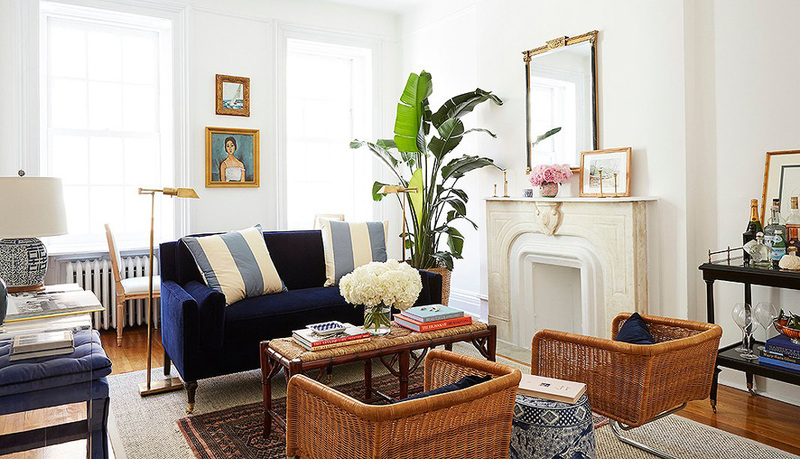 The first step in trying to recreate an inspiration room is to really understand the room and why you like it. So first, describe the room. What mood does it have? Is it dark and dramatic, or light and airy? Neutral, or colorful? Is it full of pattern, or mainly solid colors? Is there one dominant pattern? Is it warm or cool? Modern or traditional? Feminine or masculine? (or a mix of both?). Is it skewing young, or does it feel more sophisticated? Is there a lot of graphic pattern or contrast, or does it feel softer? 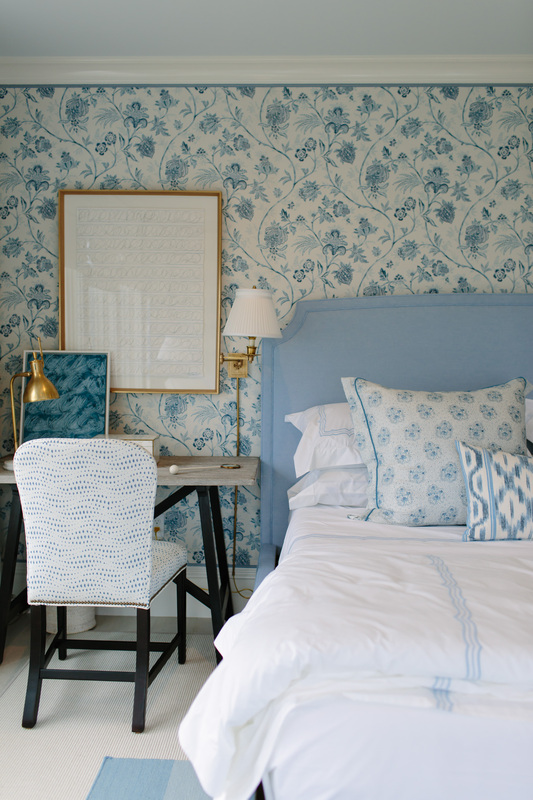 For this bedroom, the first things that pop out to me mood-wise are that it’s light and bright, with a coastal vibe that isn’t at all literal (no anchors, no American flags…yet you still understand that it’s feel a house near the water). It feels like summer. 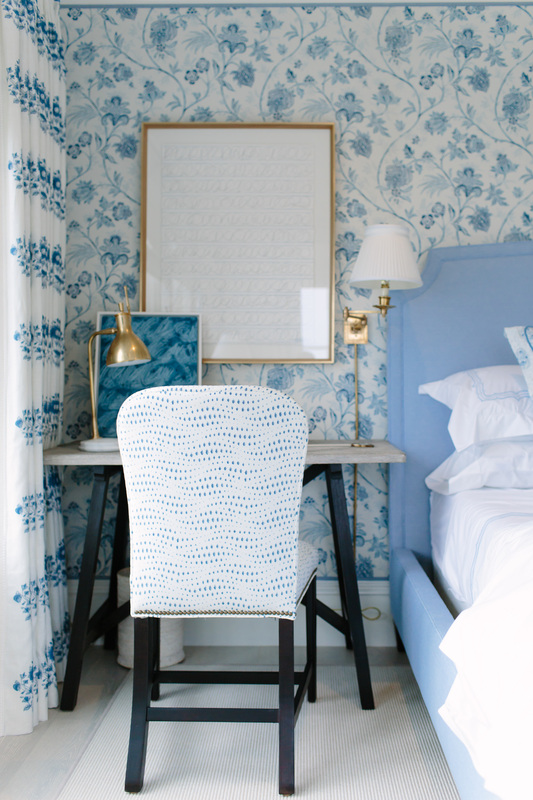 There’s a lot of pattern but the tight color palette keeps it from feeling busy. 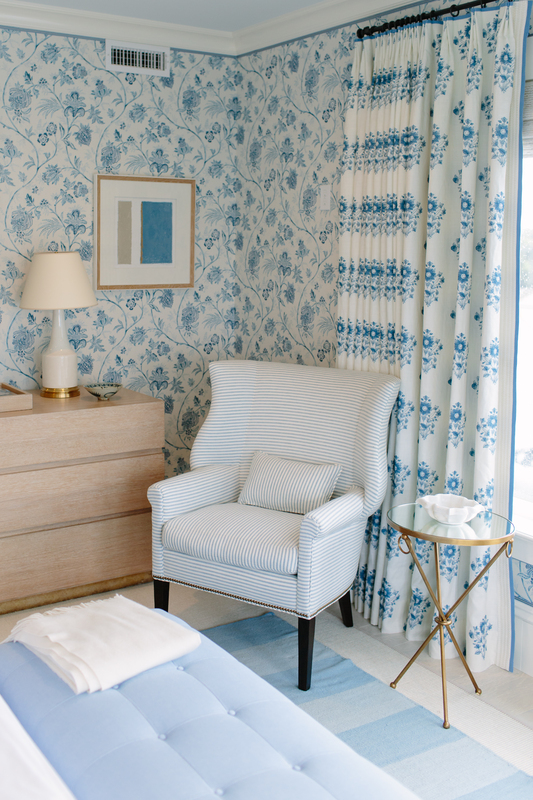 Speaking of which, the colors in the room are mainly light blue, white, and beige, with soft gold accents. The space feels cozy but also clean and fresh. 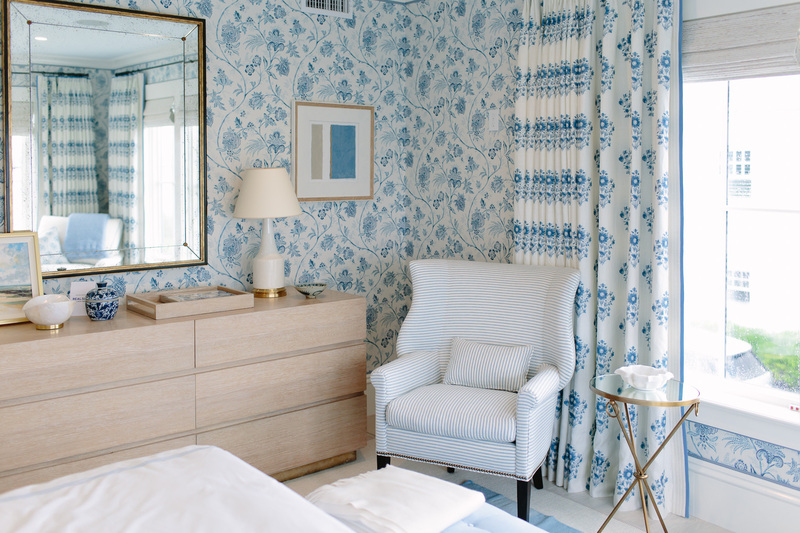 One thing I also noticed is that there isn’t a lot of contrast – the blues are all tonally similar and the white and beige meld together peacefully, which I think contributes to the soothing and soft feel of the space. Step Two: What Do You Like In the Room? Now that you’ve described the room, it’s time to figure out WHY you like it! What of the above things you described are the things that appeal to you most about the room? Just because a room has various elements that you’re able to describe doesn’t mean that all of those things are the actual reason you like the space. For another example, this room has always been a favorite of mine, but if you took away the pink, I wouldn’t like it nearly as much. It’s that bold color statement that really appeals to me. In this bedroom, to be honest, I like all of the things that I noted above! 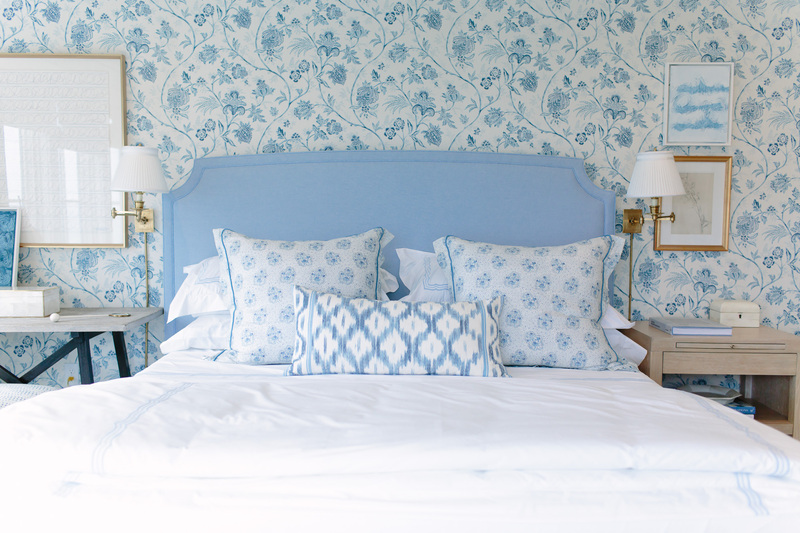 But mainly what stands out and appeals to me are the layering of varying shades of blue, the plethora of mixed patterns, and the small details – the blue ribbon trim on the standing lampshade, the piping on the seat cushions, the tape trim on the draperies, and the pleated lampshades of the sconces. I like that it feels like there’s a lot going on due to all of that detail, and yet it doesn’t feel busy or cluttered. There’s a lot to see but it retains a chill and sophisticated mood. Now is the time to take a deep dive into the actual pieces in the room. What do you see? Are the furniture pieces all one style or is it an eclectic mix? Mainly antiques? Look at the art – is it modern, colorful, monochromatic? Overscaled or small? Is there a lot of it? 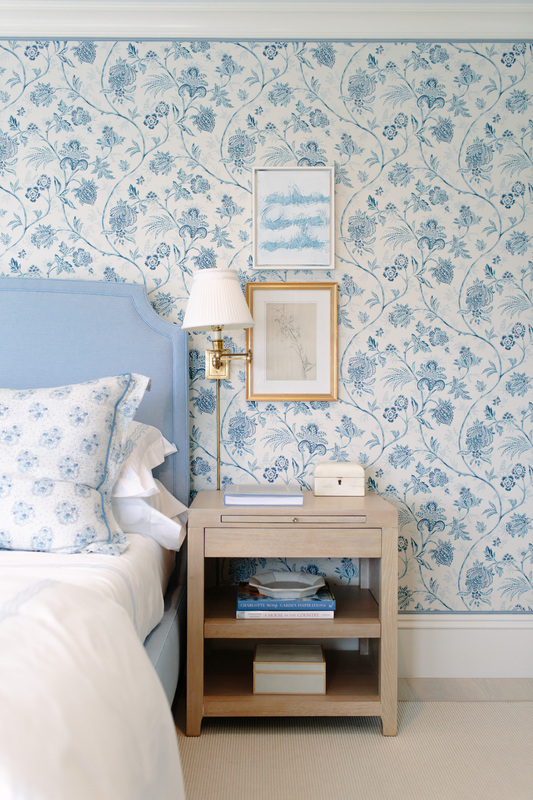 Are there lots of details like trim, patterned lampshades, extra flourishes? Do you like the bed, the sofa, the lamps? What pieces in particular do you love in the room? Are there mainly straight edges (more masculine/modern) or are you seeing a lot of curved edges (more feminine/traditional)? Are you seeing/feeling texture? Are there metallic items, which can lend a glamorous effect? As you can see, there can be a lot to explore, and what you discover may help you to further define the mood! For this bedroom, I noticed there are metallic accents (mainly the lighting and frames) mixed with more rustic textures (such as the wood of the desk – me of driftwood), which creates a great mix of sheen + rougher elements. Pattern-wise, there are florals mixed with stripes, which I love. The art feels like a modern juxtaposition to the more traditional elements of the room. There are all of the small details I mentioned above in terms of trims. Also, take note of the textiles used. 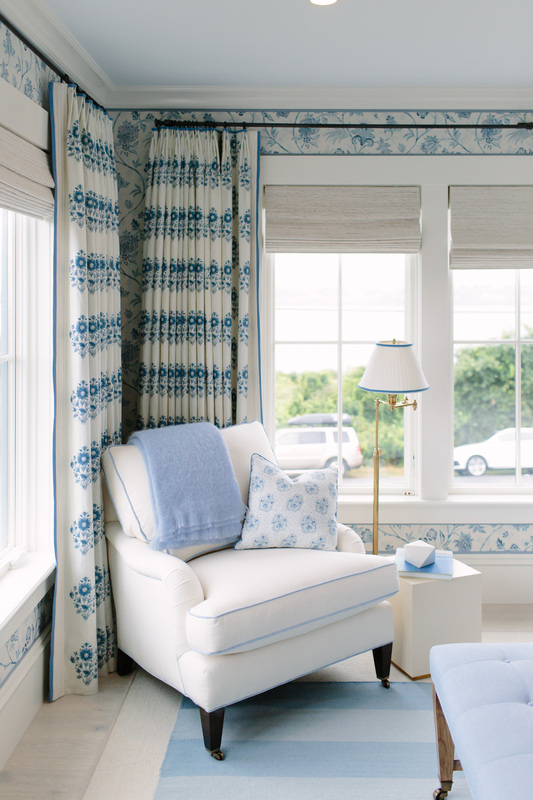 Part of what makes this room feel summer house-appropriate and beachy (without literally beachy elements like shells or anything) is the fabrics used. 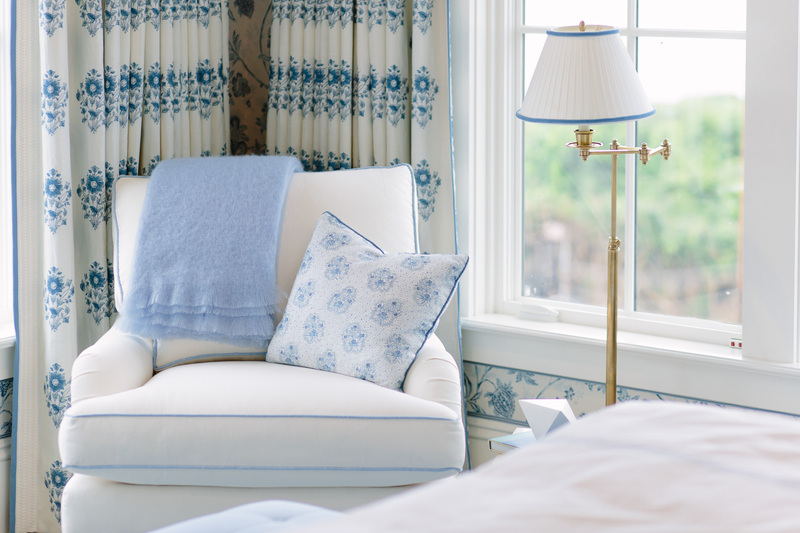 Cottons and linens appear to be the dominant fabrics – light, airy, and breathable. No velvet, no fur, or tweed. 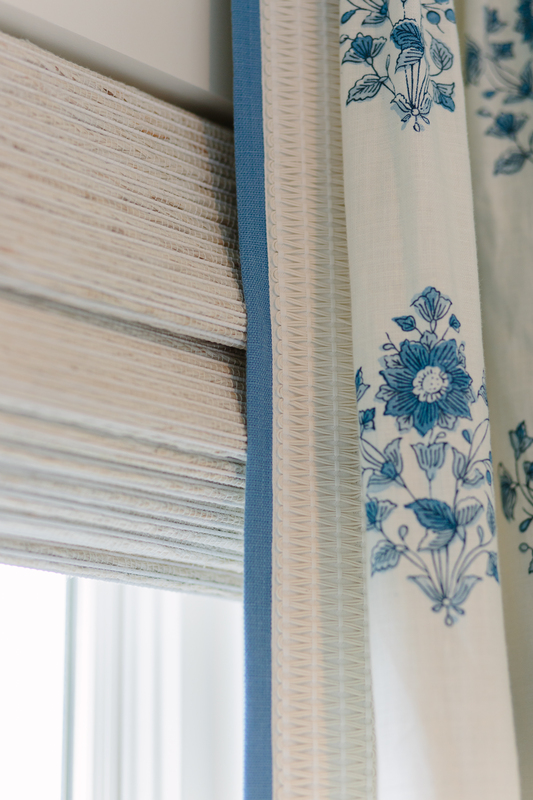 Seems obvious but it’s something to remember – when creating a mood in your space the fabric selection will play a big role! This is something that a designer taught me and I thought it was interesting advice. 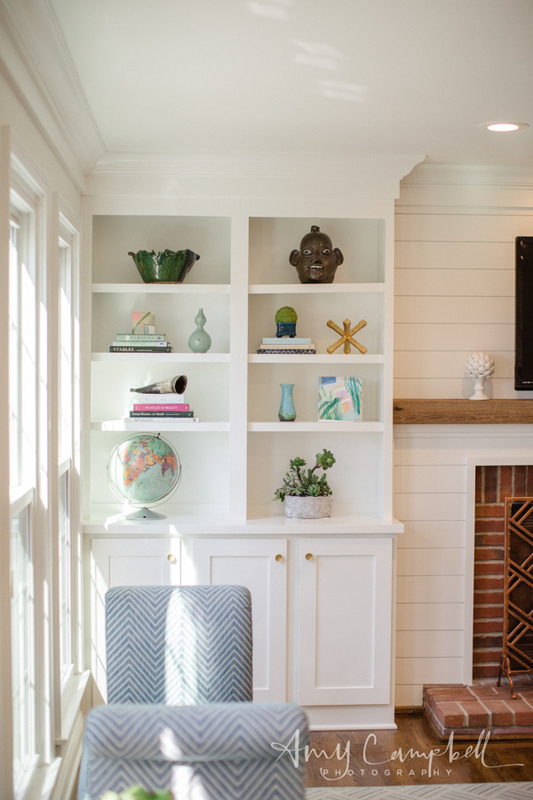 When you’re looking at a room you like, imagine removing one major element. Now ask yourself: do I still love the room? 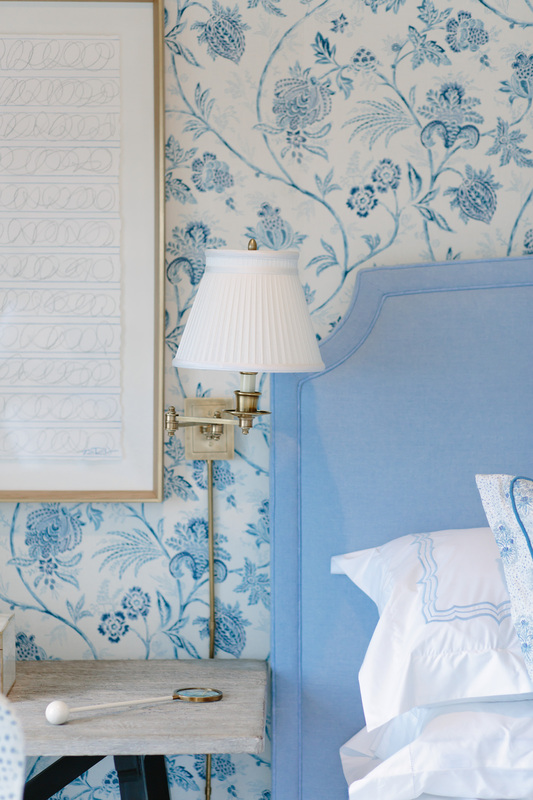 It might be that there’s one major light fixture or color scheme that really speaks to you. For me, if you took away the patterns, this room would no longer appeal to me nearly as much. 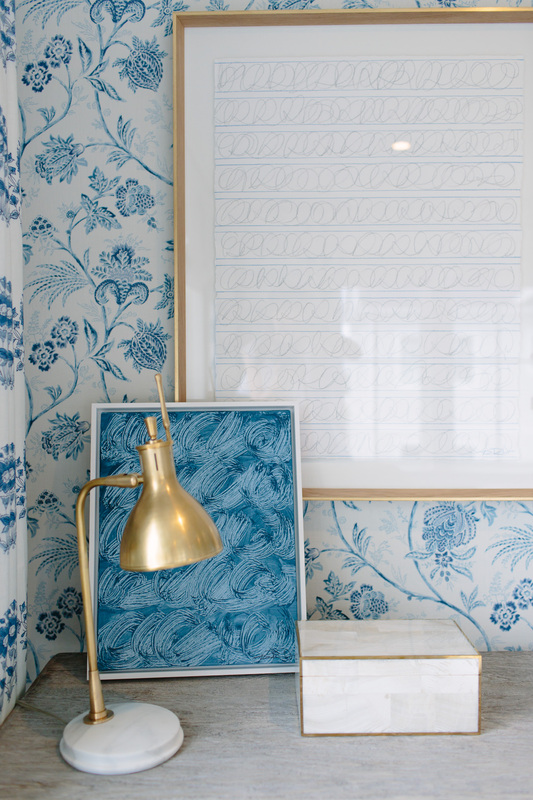 When it comes to taking all of the information you’ve gathered and noted and trying to recreate the inspiration look for your own home, keep in mind that it will never be easy (or possible) to completely duplicate a design. Designers often use very expensive and difficult to obtain items – fabrics that are only available to the trade (at high cost), antique furniture, etc. So don’t worry too much about trying to create an exact replica. Rather, strive to capture the mood that you were first drawn to in the inspiration room! For everything you pick, ask yourself if it’s in keeping with the mood of the original inspiration. Keep your mind on Step Two. This is where you discovered why the room appeals to you, and this should inform your planning and shopping. You can certainly find replica pieces at lower costs which is a great option, and there are DIY things to can do as well, but remember that you can also find success simply by capturing the mood that you loved in a space, without needing to replicate it exactly. I kind of love it! What do you guys think? 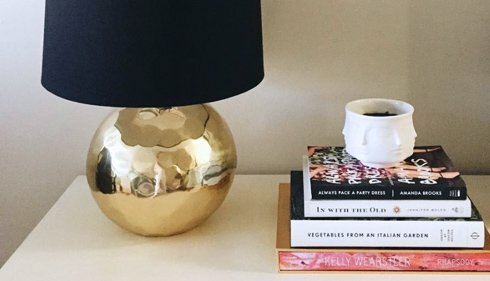 I hope this post was helpful in giving you some ideas for recreating those designs you rip out of magazines and pin on Pinterest! If you have any questions, feel free to ask away!